It's a known fact that parrots have the capability to be very loud -- but it's true that some species have a propensity for being more vocal than others. If you've been wondering what types of parrots are known to be the loudest of them all, then check out the list of the top 5 loudest parrot species below. Knowing this sort of information can come in very handy if you are looking to adopt a pet bird so that you can choose a species that will be the best fit for your home and lifestyle. Macaws of all sizes are widely known to be among the most vocal parrots, and with good reason -- in the wild, these birds can travel up to 500 miles in a single day, so they use their loud contact calls to keep in touch with their flockmates while they are on the move. If you are looking for a quiet bird to keep as a pet, then it's best for you to look elsewhere. 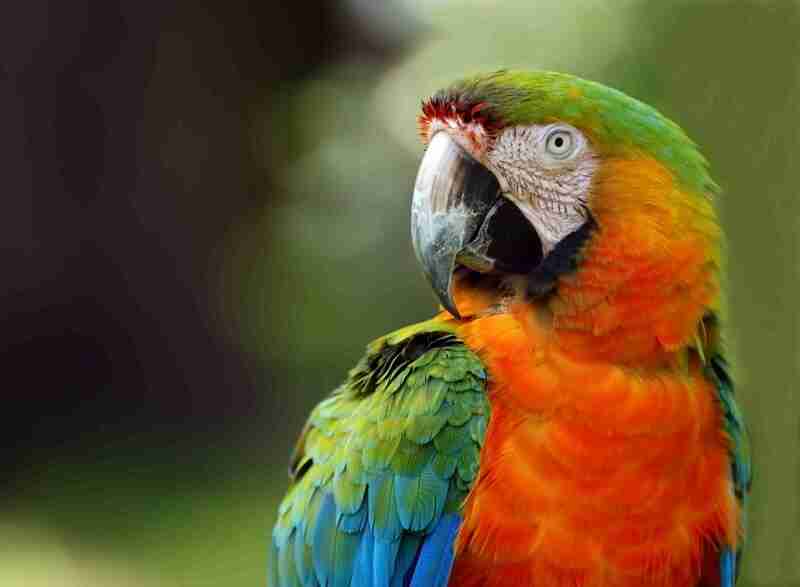 While some Macaws are certainly quieter than others, all of them will emit a loud call from time to time. While they are considerably smaller than Macaws and many other types of parrots, Conures can be every bit as loud as their larger cousins. These little guys can be heard for up to a mile away or more when they scream at full capacity, and this can cause headaches among other problems for owners who like their peace and quiet. Keep this in mind when looking for the best species for your lifestyle -- while Conures are beautiful birds, their propensity for very loud vocalizations means that they aren't the best fit for just anybody. Cockatoos, like Macaws, come in a variety of shapes and sizes. However, these loving and affectionate birds are all capable of producing ear-splitting vocalizations that not all owners can tolerate. In the wild, these vocalizations are necessary for survival, enabling these birds to find their mates and alert other flock members to predators and other dangers. In captivity, however, many bird owners find the Cockatoo's call to be too much to deal with in a pet setting. Before falling in love with a Cockatoo and bringing it home, it's important to consider these issues. While they are widely noted for their talking abilities and clarity, Amazon Parrots have another trick up their sleeves -- they can produce shrill screams in frequencies that seem to cut right through human ears. If you're in the market for a pet bird but you don't want to risk dealing with a screaming parrot first thing in the morning, then an Amazon is definitely not for you. That said, there are techniques that you can practice to help curb their urge to scream -- it just takes a lot of time and patience to get the point across! What parrot species is known to be the best talkers? If you thought of African Grey Parrots then you aren't alone -- their popularity as pets has soared in recent years, mostly due to seeing so many of these birds in the media performing extraordinary feats of speech. It's what goes on "behind the scenes" that can cause a problem. While these are certainly among the most intelligent bird species, they can be very, very loud when they decide to be. Again, this fact speaks to how important a bird's call is in the wild. Do your best to consider whether or not your family could deal with this sort of behavior before adopting an African Grey.